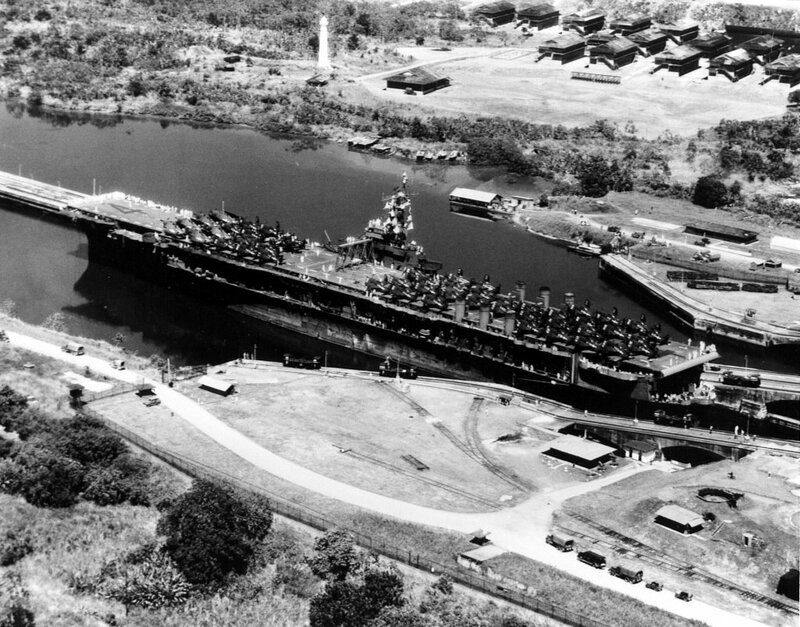 USS Ranger (CV-4) is seen on 12 October 1945, transiting the Panama Canal on her way to New Orleans for Navy Day celebrations. US Navy and Marine Corps Museum/Naval Aviation Museum, Photo No. 1999.488.013.032. Associated Press Wirephoto whose caption states that "the photo shows Ranger headed upstream in the Mississippi River for a port visit to New Orleans." "Launching 45 Grumman F8F-1 Bearcats (VBF-18 and VF-18) and 15 TBM-1C Avengers (VT-18) on the afternoon of the 15th [October 1945], to fly into NAS New Orleans, when she had reached a point approximately 100 miles from the Crescent City, the Ranger reached her destination the following afternoon, mooring to the Bienville Street dock." 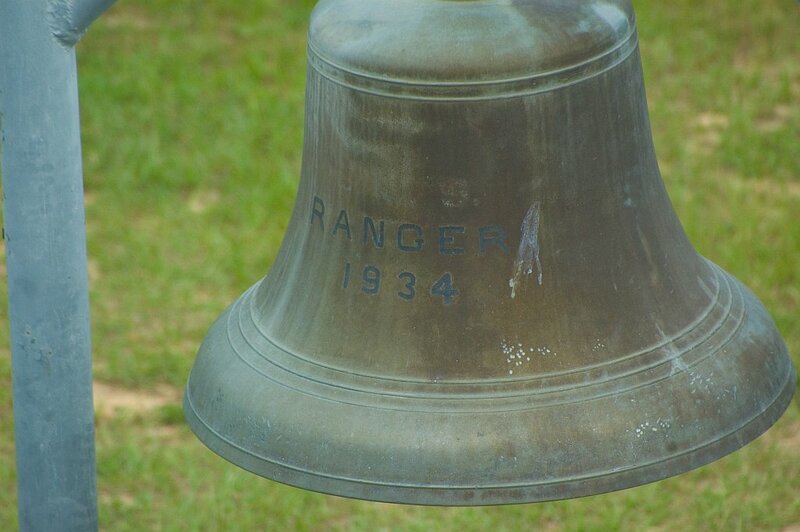 Quoted from "USS Ranger, the Navy's First Flattop from Keel to Mast, 1934–1946," by Robert J. Cressman (Brassey's, Inc., Washington, D.C.: 2003). 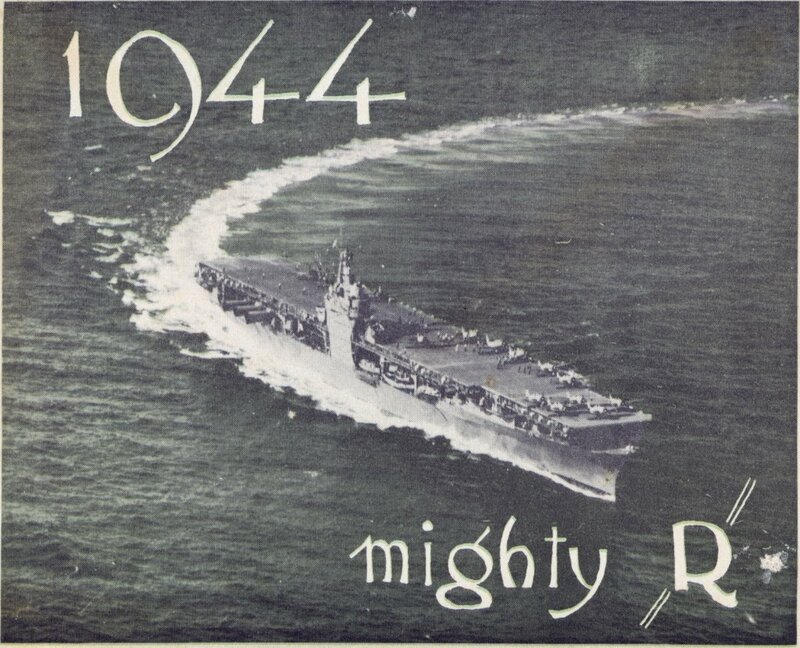 USS Ranger (CV-4), Mighty "R," Christmas 1944. 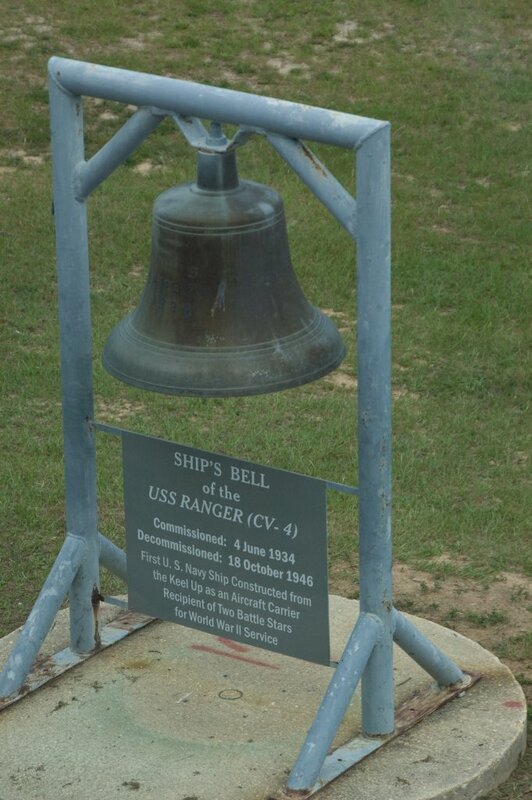 Ship's Bell, on display outside of the National Naval Aviation Museum, Pensacola, Florida. Photos taken on 13 June 2008. 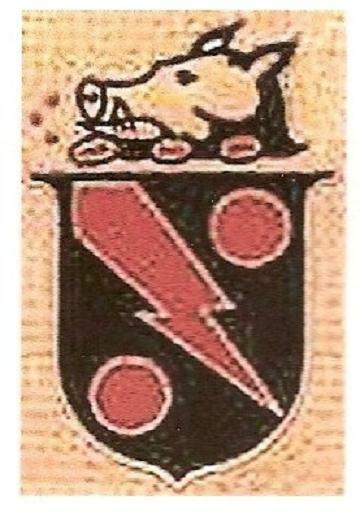 Fighting Squadron 4 (VF-4), the "Red Rippers," was established as VF-5 on 1 February 1927; redesignated VF-5S (1 July 1927), VF-5B (January 1928), VB-1B (1 July 1928), VF-5B (1 July 1930), VF-5S (July 1932), VF-5B (April 1933), VF-4 (1 July 1937), VF-41 (15 March 1941), VF-4 (4 August 1943), VF-1A (15 November 1946), VF-11 (2 August 1948), and disestablished on 15 February 1959. The following day, 16 February 1959, VF-43 was redesignated VF-11 and carried on the insignia and traditions of the earlier "Red Rippers" (but not their lineage). 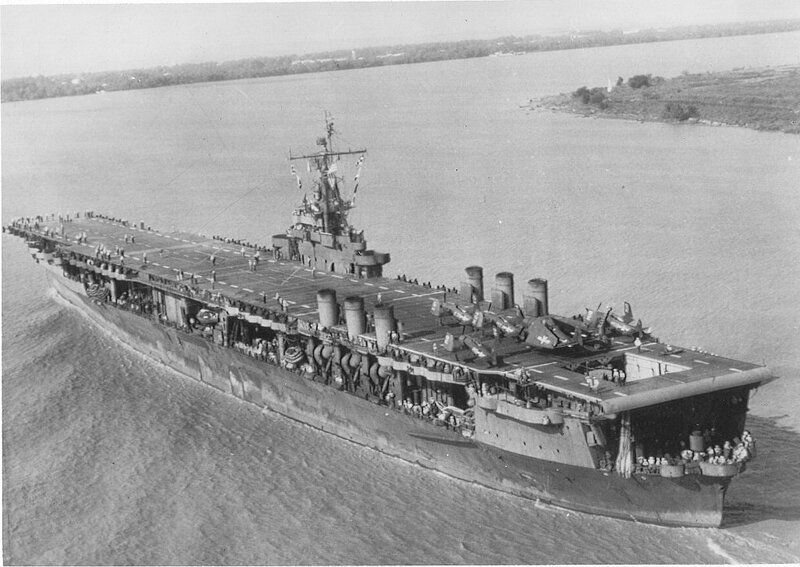 VF-4 (at the time VF-5B) transferred to USS Ranger in July 1936 and remained aboard until April 1944.